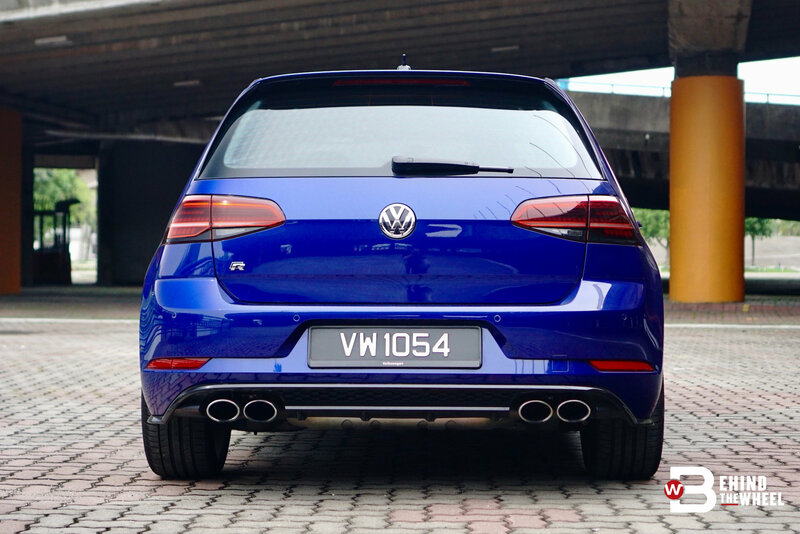 Underneath the Lapiz Blue hood rests Volkswagen’s turbocharged 2.0-litre engine that we are all familiar with. 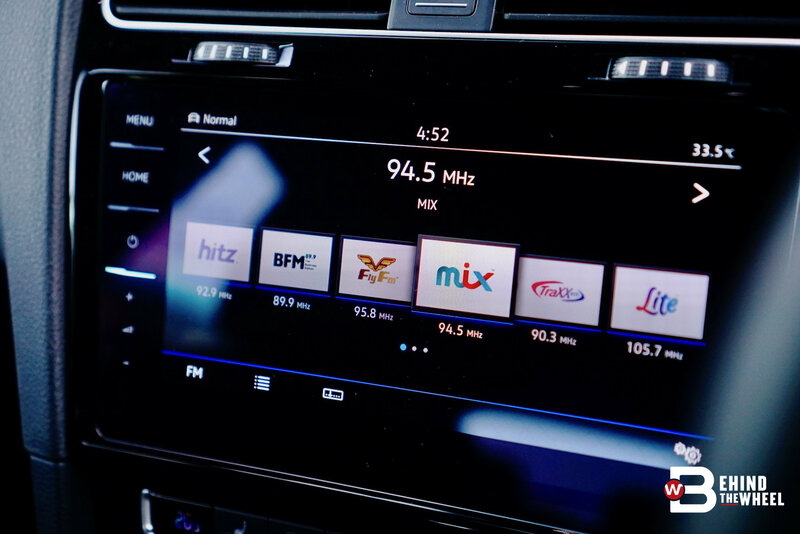 It is a potent piece of machinery, the beating heart of many Volkswagen vehicles, tasked to produce power that punches well above its weight class. Inside the Golf R, this powerplant is at its most powerful. 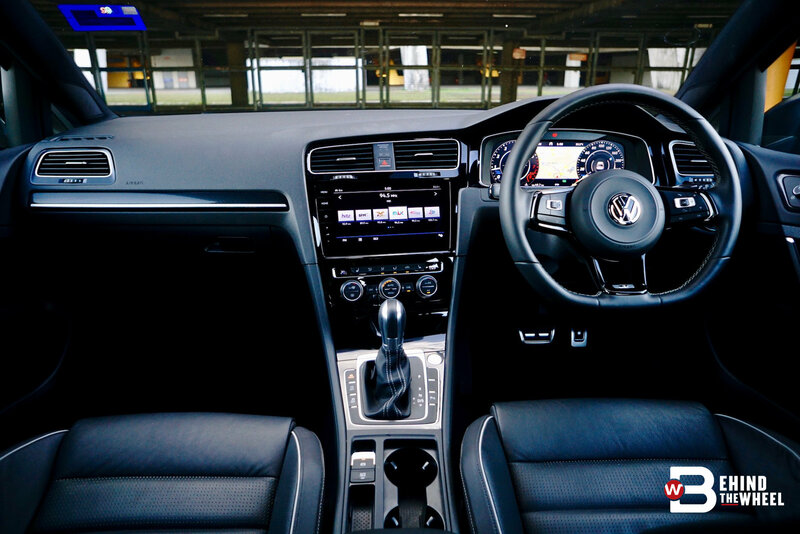 Although the GTI’s and the R’s engine are one and the same, the mechanical and software upgrades gift the Golf R with 286hp and 380Nm of torque. You’ll hear hints of the modified cylinder head, exhaust valves and pistons, and the larger intercooler and turbocharger when you fire up the engine. The Golf R, like so many sports cars, wakes up with a barbarous roar before settling down to a baritone grumble. As best of a sound as a four-cylinder can make, it still isn’t a five- or six-cylinder so sound actuators somewhere in the bay assists with the aural effect; not quite Barry White but no less effective in setting the mood. 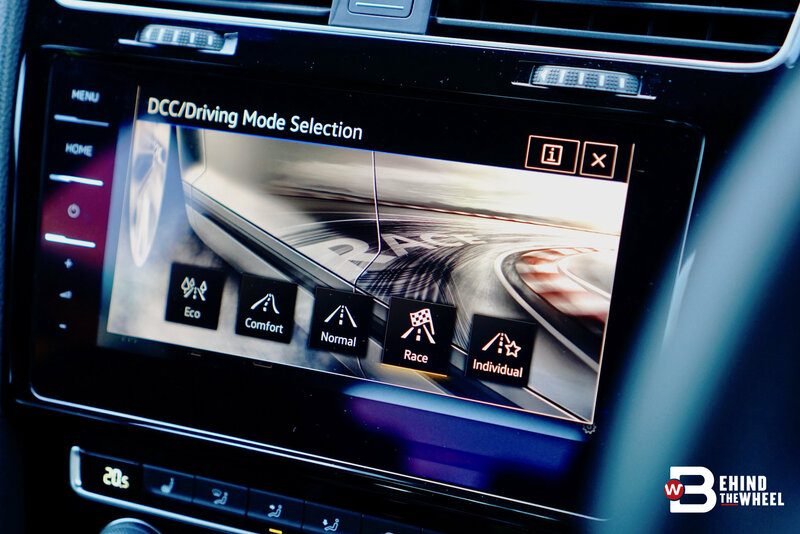 The ‘mood’ here really depends on the drive mode that the Golf R is in. Simply put, if you’re not in Race, then you’re doing the Golf R wrong. 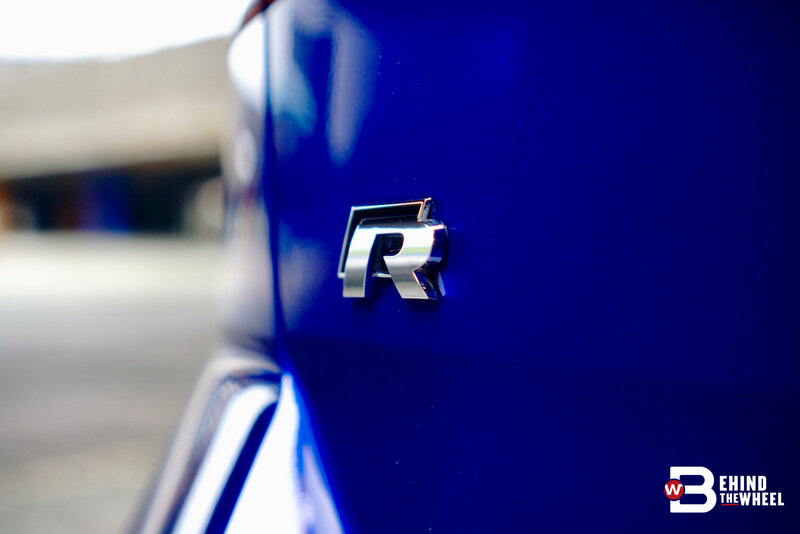 In Race, the Golf R releases all bungee cords that hold back the engine’s true potential, letting the revs shoot to the red line before the transmission rapidly upshift to the next cog. Of the seven cogs in the DSG – this facelifted Golf R now comes fitted with a wet-clutch seven-speed DSG – you’ll complete the first four ratios in no time. Or 5.1 seconds from zero to 100kph. 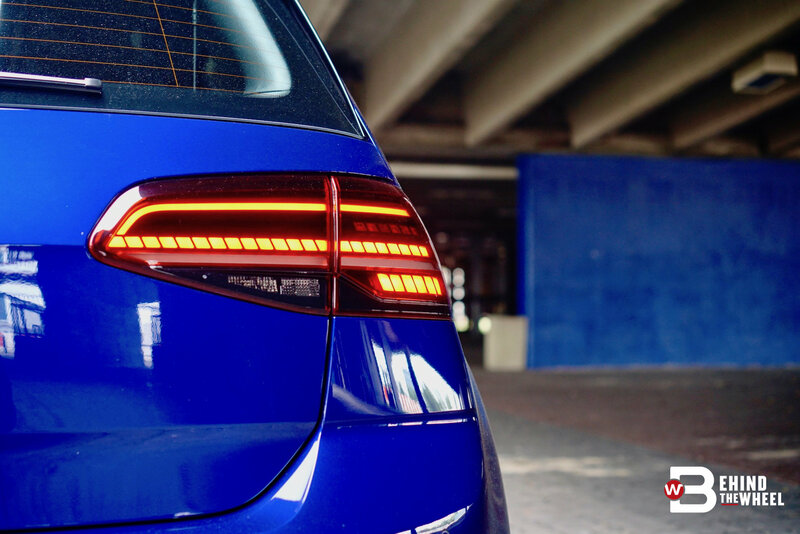 From fourth to sixth, the Golf R surges forward in one seamless motion, putting you ever closer to the top speed. 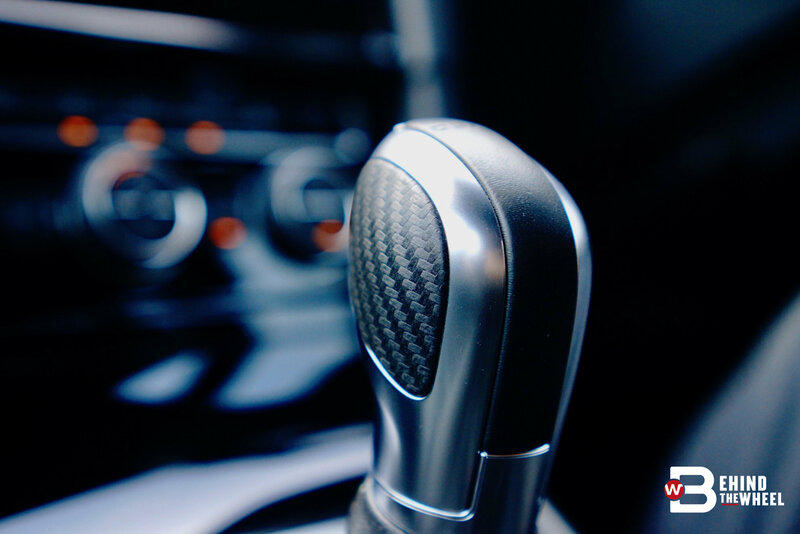 You’ll know when you’ve gone over the speed limit, the signs are all there – the hatchback starts making all the right noises loudly, other cars start getting slower and the horizon constantly rushes towards you – serving the electronically-limited 250kph on a silver platter. Race mode also tightens up the tightened chassis, stiffen up the stiffened dampers and makes the steering feel even more direct than it already is. You’ll feel everything there is to feel on the road. 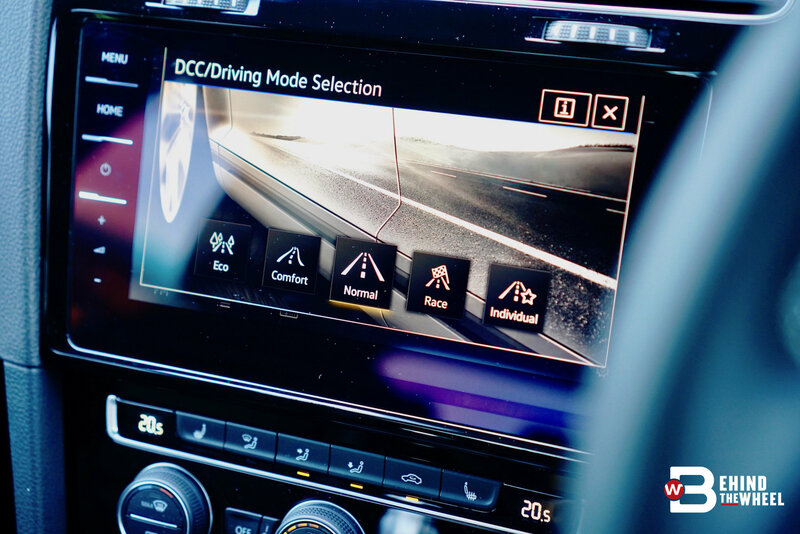 If you’re particularly brave, you can set the ESC to Sport (nanny checks in only when needed) and Off (you’re on your own here; recommended only for track days). 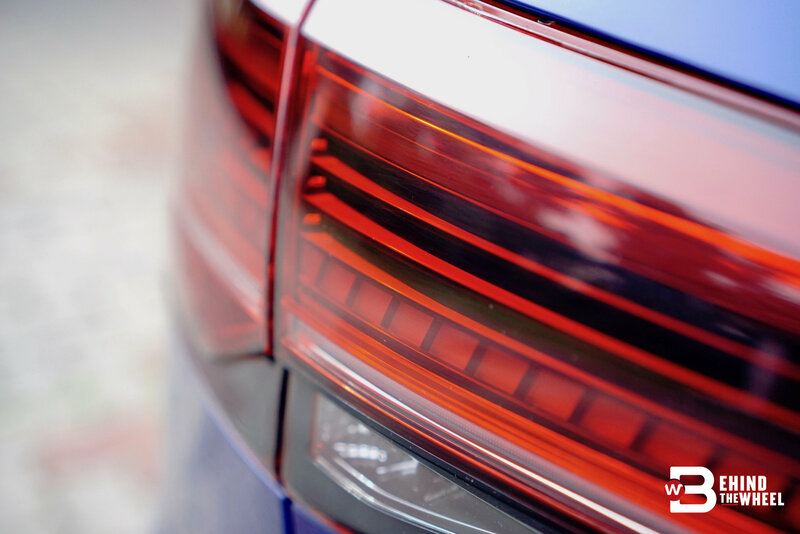 ESC Sport will be your go-to mode on quiet Sunday mornings, on roads that are as misty as they are twisty. 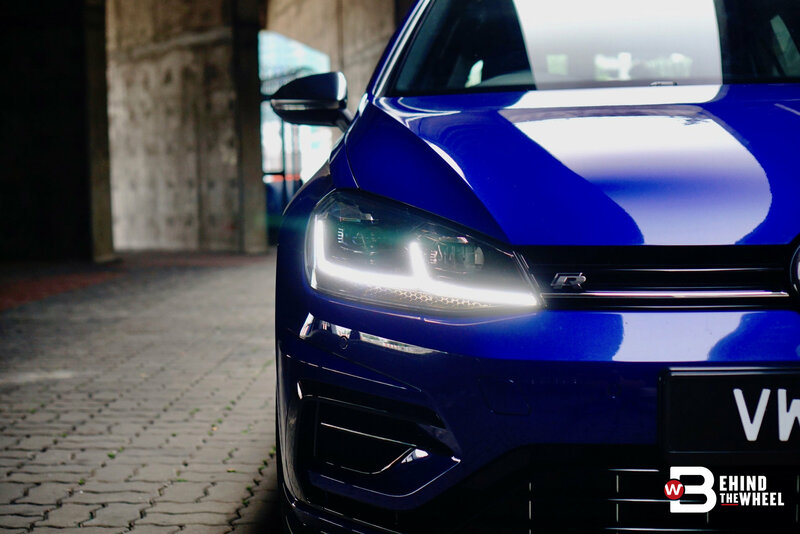 The Golf R brings with it 4Motion All-Wheel Drive that, with ESC fully activated, bites the road with the force of a crocodile. Yet, when the front loses grip, the system sends power to the rear to rein in the nose and then pushing the hatchback out of the corner. 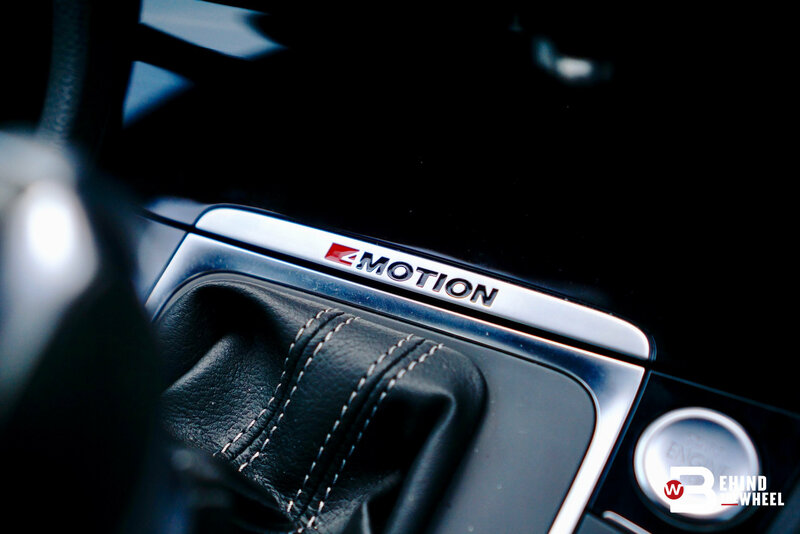 With ESC in Sport, the R allows a bit of a slip and slide but never lets you overcook it. 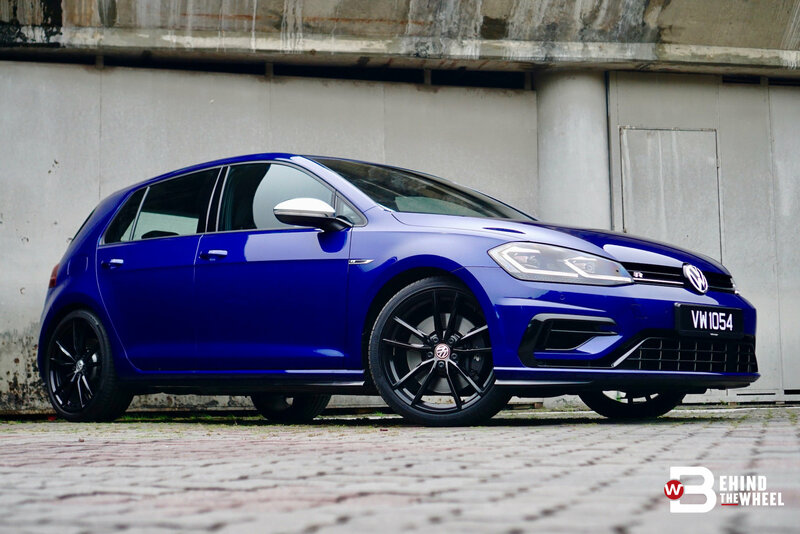 It is easy to get carried away with the Golf R in Race that you forget the Volkswagen can still be useful for the everyday drive. Commuting around the city will see you swapping between Normal and Eco, with the DCC giving you the additional Comfort. 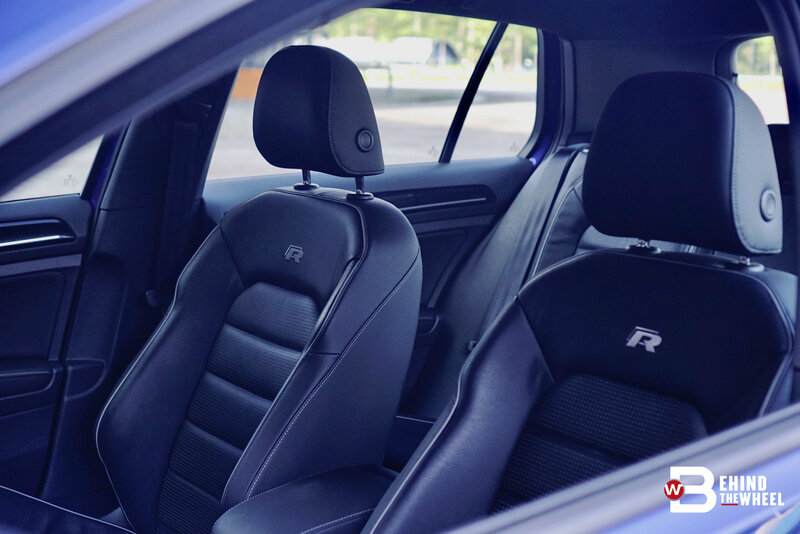 Engage any of these to slap a leash on the Golf R.
Normal will be your go-to mode, balancing between power and efficiency. 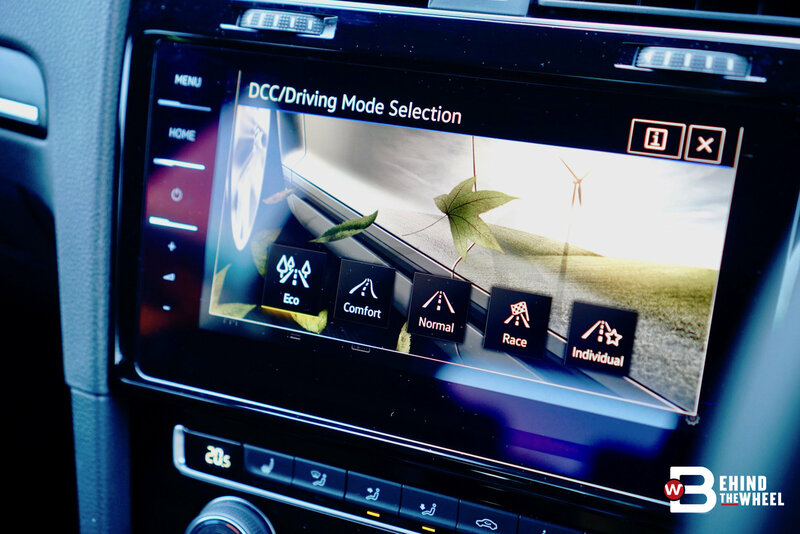 Comfort sets the car in its softest mode without restricting too much on the power, making this the mode to be in for cross-country driving. And Eco powers down the car as much as possible, even going so far as tuning over sub-2,000rpm at highway speeds; expect very good fuel economy. 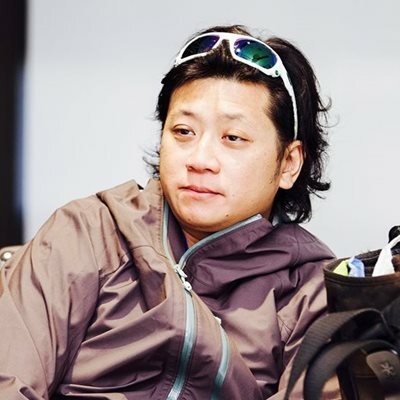 The chassis needs special mention. Out of Race mode, the Golf R is surprisingly comfortable. The spring and dampers absorb much of the craggy road. 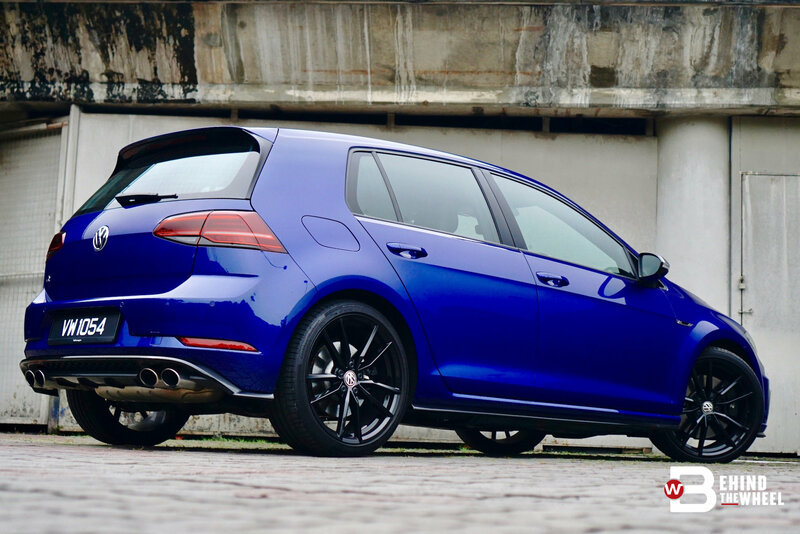 Even large humps and bumps that seemingly appear out of nowhere are flattened to the best of the Golf R’s ability; seldom tossing and slamming the passengers to the point where one might say the suspension has been refined. Also refined is the interior, now changed for 2018. 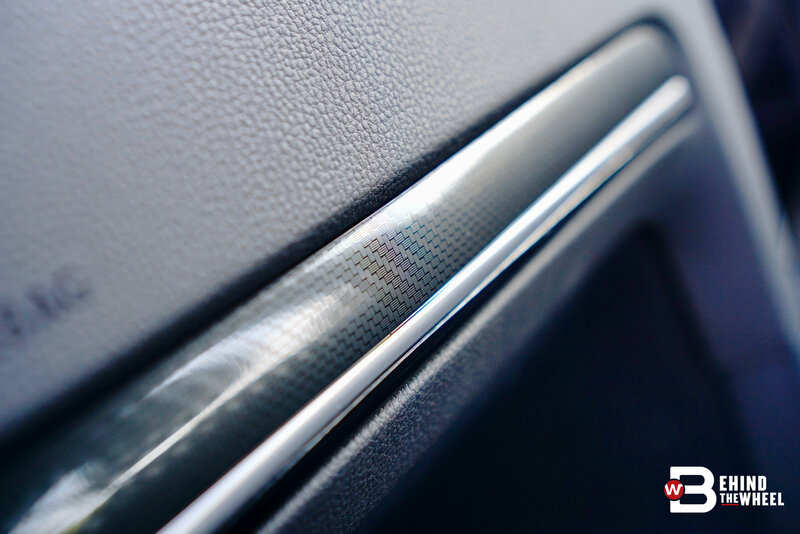 You’ll be sitting on ‘Vienna’ perforated leather seats that puts you within reach of the 9.2” Discover Pro that allows for Gesture Control, meaning, waving of the hand somewhere in front of the screen will yield some response. Honestly, it’s quicker to just tap the screen. 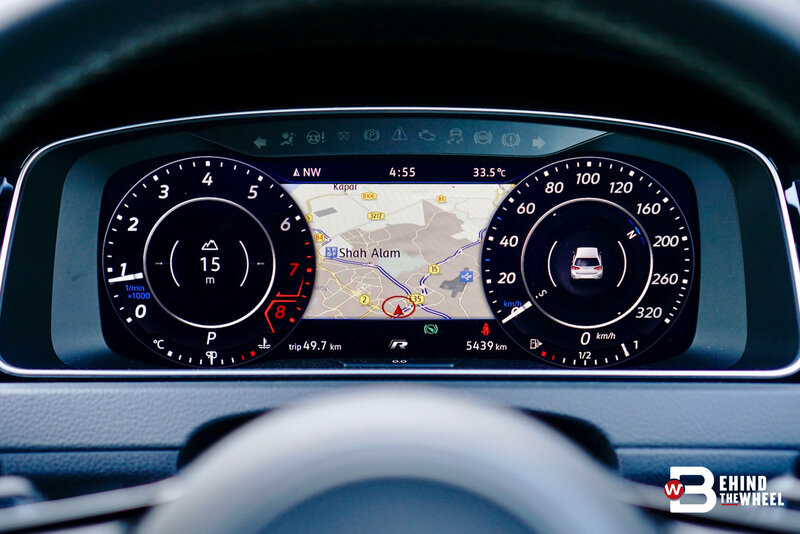 Replacing the analogue gauges is a 12.3” Active Info Display that, from the controls on the steering wheel, shows you the information you request about the drive and car. 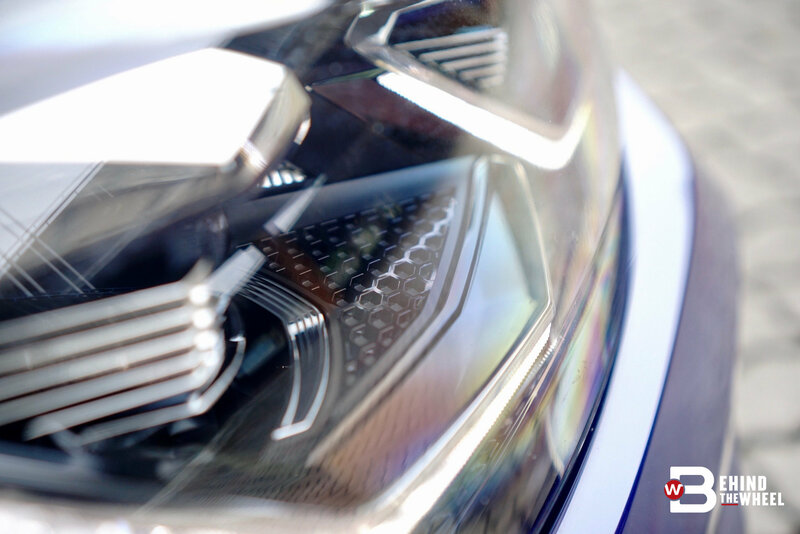 On the outside, LED headlights with Dynamic Cornering Lights and LED taillights with Dynamic Indicators to bookend the hatchback, which rides on new 19” Pretoria alloy wheels. There’s little change on the exterior, a bit of a nip and tuck, but most of the Mk7’s lines and angles are kept for the Mk7.5. 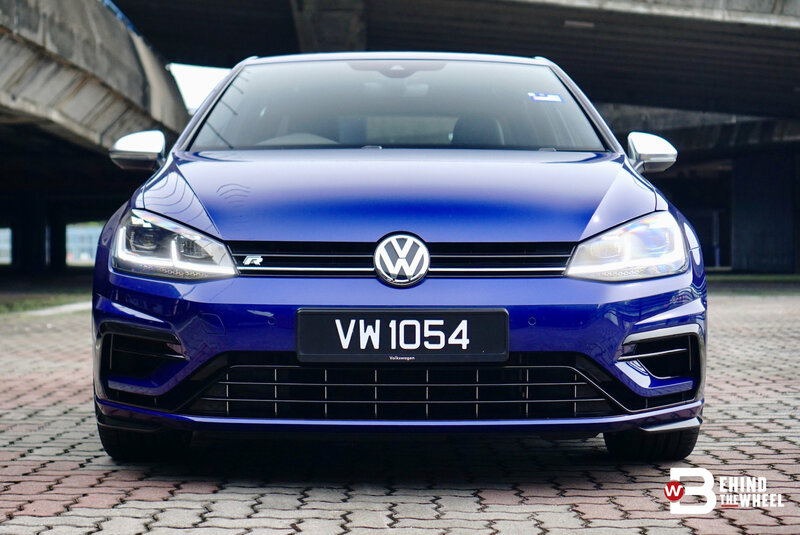 Opinions divide if this generation’s Golf is a looker or a yawner, even with the R’s tweaks, yet none can argue that this hatchback comes alive whenever you’re behind the wheel. 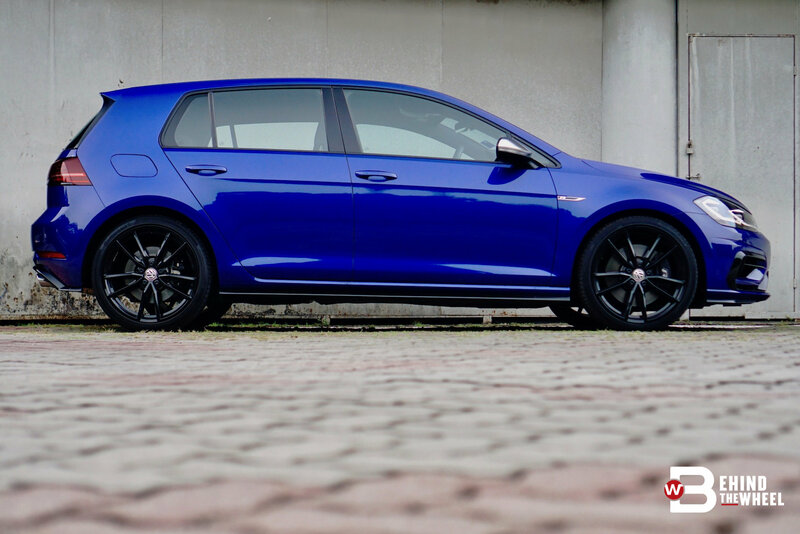 This is one of the more playful Golf that you can buy and it is the more affordable one despite the asking price of RM280,000. All things considered, you are getting a hot hatch that’s subtle in looks but brutish in power.